Now, to show why your opponent does not matter, we will be the defending party in the following example. So in order to calculate how we fare relatively, we fill in the bottom blue factors, while the opponent’s values go in the top orange factors. The result when filled in, will tell you how many troops you will relatively lose (this number has no value in real combat outcomes, but will tell you how well a set of gear performs compared to another). Now here is the thing. Take an arbitrary (>1) number for A and B. In this example, let’s set the base life value for our troops to 1 for easy calculating, and let’s take 10 for A and B. We start with 0% attack debuff and 0% life buff. An enemy attacks us and kills X amount of troops. Remember, we don’t have all the numbers required to come to a precise prediction of troop lost, just the ability to compare on gear set relative to another. So the X number of troops killed will be our starting point. 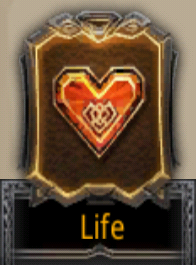 In scenario 2, we add 100% life buff to our stats. Now the right hand division’s denominator becomes twice as large, and thus the division as a whole will get halved. Which means, we now lose X/2 troops, saving 50% compared to situation 1. Now, IF it were the case that the opponent’s gear (symbolized by the terms A and B above) influenced our gear’s performance, we should be able to tinker with A and B, such that the results of situations 2 and 3 are NOT X/2 and X/4 respectively. Now I am not going to do the math to show you that this is not the case. If you really want to see for yourself, try different combinations for A and B (>1), get your X troops lost in situation 1, and see whether 2 and 3 still hold up as expected. They will! And with that, I have shown that your opponent’s gear plays no role in how effective your own gear is. Yes, of course, if one opponent has better gear than another one, the first will get better ratio, but the point is is that your personal best set of gear, is ALWAYS your best set of gear (for defense or offense), regardless of enemy buffs/debuffs. So the next time someone tells you to apply more buff against enemies with primarily debuff (or vice versa) point them here to see why that is wrong. So in short, if you want to compare defensive sets, use (eq.20), and when you want to compare offensive sets, use (eq.21). Now we are left with one dreaded topic that needs addressing: Diminishing Returns. I’ve written on it in several articles, but installment IV in this series should really put an end to all discussions. See you there! 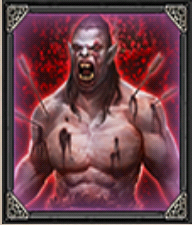 This entry was posted in Articles and tagged Alliance, attack, buff, debuff, division, factor, gear, gem, Hero, hero equipment, kabam, kingdoms of middle earth, KoM, life, math, PvP, tk by beardmonkey. Bookmark the permalink. If you can write out the whole battle equation for either Attack or Life I will know how diminishing returns is implemented. I simply need to know where the multiplications and where the additions are. Do you think u can answer my question I wrote on battle mechanics II or maybe add me on Line/Touch (I’d: maxxxel/anti-kabam) and we can talk together. I was wondering about the math. Your solution es absolutely perfect. But I was considering what if we sum up the buff and debuff instead of multiplying them. I know the best to do is to multiply them, however, for some players it may result hard to get if they are not used to mathing. So, I was thinking to explain them using a simple sum. My concern is if the sum could lead to a contradictory results, for instance, saying that a gear that is better than other one but actually it isn’t. In resume: Do you think the sum keeps the ordinality that the multiplication implies? No! The math is what it is and unfortunately, you cannot substitute a multiplication for an addition without the answer becoming meaningless. In this case, addition would even negate all DR and make balancing buffs and debuffs unnecessary, which is why it would be totally wrong. An explanation for kinda how this works will be included in part IV. Thanks! I checked it, your work is really great. Thanks for all the help. By the way, If you’re full in shield walls and city guardian, shouldn’t you consider to keep a higher debuff? Not much, just a bit. Considering that you have another sources for buff than for debuff. just notice the same conclusion. Just one thing are you sure attack Buff did not influence battle mechanics for defender ? No not if your forces are large enough, overwhelming the opponent. 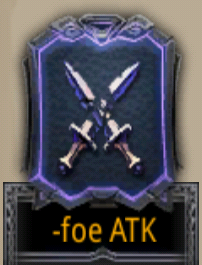 And do you mean your own attack buff or those of the enemy?